Speaking at a Parkland Restorative Justice information meeting held in Rosthern, Sask., on Sept. 15, Olfert told the audience how, in 1988, he sat on the Conference of Mennonites of Saskatchewan (the former name for Mennonite Church Saskatchewan) committee that was responsible for Person to Person (P2P), a prison visitation program. Dale Schiele, the program’s director at the time, challenged committee members to make a one-time visit to the penitentiary. Olfert accepted the challenge, and he and his wife Holly made the four-hour drive to Prince Albert to visit Bob, an inmate serving a 10-year sentence. In 1997, Olfert also began volunteering with Circles of Support and Accountability (CoSA). The program helps sexual offenders reintegrate into society after serving their sentences. By providing them with support and keeping them accountable for their behaviour, CoSA strives to ensure that ex-offenders are not isolated. “Volunteers form a circle around [sexual offenders],” explained Heather Driedger, Parkland’s director. These circles “support them in their strengths and uphold their dignity,” she said, adding that the program’s goals are that there be no more victims and that former offenders know they are not disposable. Today, Andy is rebuilding his life. It took him a year-and-a-half to find employment, but he has been working for the past year. He and his wife have hosted the Olferts at their cabin at a Saskatchewan lake. Parkland Restorative Justice continues to offer friendship and support to those who have found themselves on the wrong side of the law. About 60 inmates receive monthly visits from volunteers through P2P. They represent about one-fifth of the prison’s population. Parkland also currently has three CoSA circles. The Micah Mission in Saskatoon and CoSA South Saskatchewan in Regina each have 15 to 20 circles. Driedger said that Parkland is always looking for more volunteers, as it has a list of inmates waiting for visits. 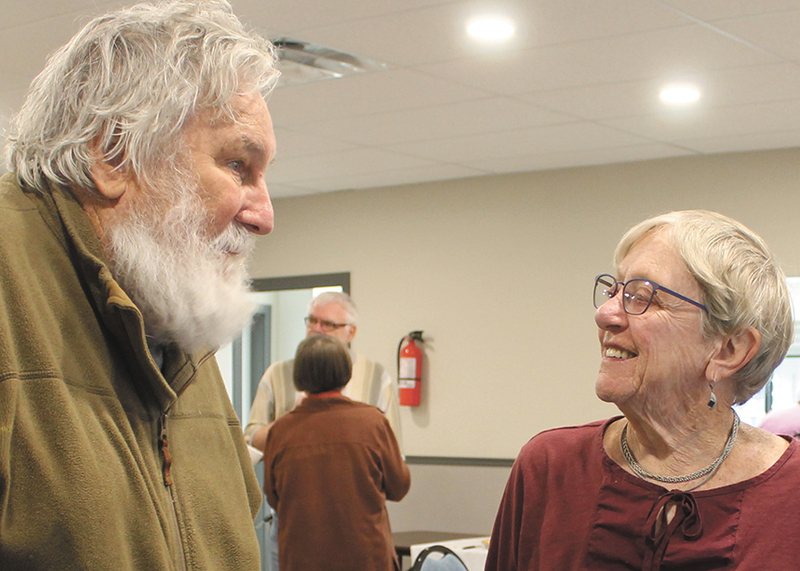 She estimates that upwards of 70 percent of Parkland’s volunteers are from MC Saskatchewan churches, with the remainder coming from the Roman Catholic or United churches, or from no church.